Uber Launches In Pune, Offers 2 Free Rides! Mobile based taxi booking and rental company Uber has come to Pune. They are now present in 6 Indian cities including Bangalore, Delhi, Chennai, Hyderabad, Mumbai and now in Pune. Uber, is you are not aware, is a San Francisco, US based company that seamlessly connects potential riders to drivers though a smartphone app. It is an on-demand transportation service that allows riders to request a car, at the touch of a button, through their mobile ap. Uber is quite popular in US, and currently operates in 100+ cities around the world, in over 36 countries. .
Interestingly, 6 cities (in 9 months from launch) in India are a maximum for any country after US. They have grown quite rapidly in India and are expected to add another 2 cities – Ahmedabad and Kolkata – in next 3 months. According to Uber’s spokesperson, they have currently soft launched in Pune to understand expectations from customers. Like with other Indian cities, they have launched Uber Black service (which has mid-sized sedans) in Pune. Currently, Uber is in process of setting up their office in Pune and will soon be hiring a community manager and operations manager to look after Uber’s Pune division. Uber’s current fleet includes vehicles like Renault Duster, Toyota Innova, Nissan Sunny, BMW 3 Series, Toyota Fortuner, Ford Fiesta and Volkswagen Vento. Because Pune has been newly launched they currently have limited availability of cars, so the expected ETA’s in Pune initially would be higher than usual. Interestingly, Uber only has credit card has a payment option when you are booking a cab through their app. This might be an hindrance for a few users! They need to add more payment options atleast in India as very few Indians really use credit cards unlike in the US where nearly every person has it! The promo code will offer you 2 free rides of upto Rs. 300 each for new users. Do give Uber a try and let us know what you feel about their newly launched service! 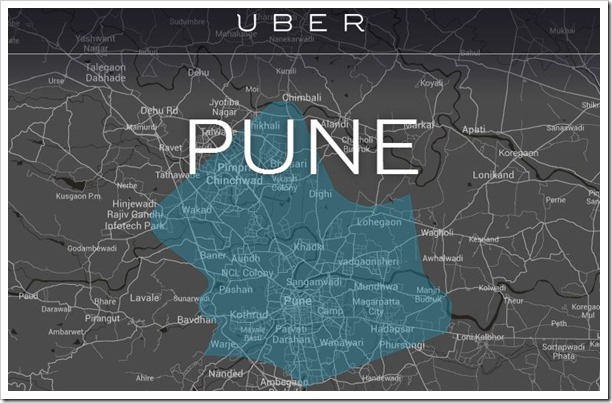 "Uber Launches In Pune, Offers 2 Free Rides! ", 5 out of 5 based on 1 ratings. Is Pune Really The 2nd Best Emerging Tech Hub In The World? interested in running /executing any operations from that premises..